Polymétis will be creating an immersive environment for IDS. 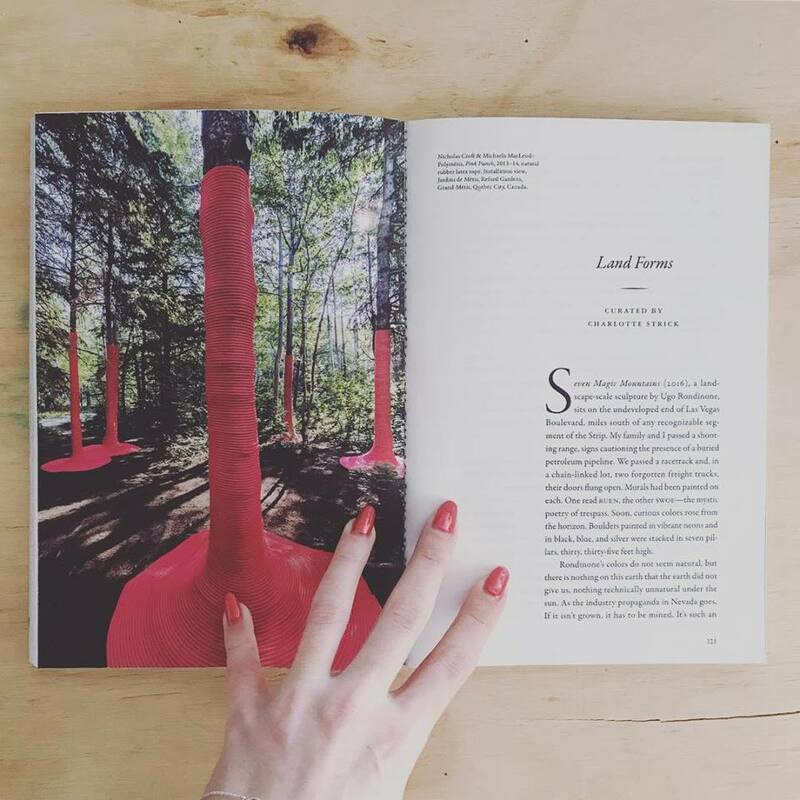 Pink Punch featured in the Paris Review, Issue 226, Landforms, Curated by Charlotte Strick, Essay Clair Vaye Watkins. Our sculpture, LIT, included in 12 TREES: LET THERE BE LIGHT exhibition. Curated by author and visual artist Douglas Coupland and Vice President of Public Art Management Ben Mills. Friday November 17 to January 07 at the Gardiner Museum. Take a look at this short video. Polymétis among 12 artists chosen to present work at the annual 12 TREES: LET THERE BE LIGHT exhibition. Curated by author and visual artist Douglas Coupland and Vice President of Public Art Management Ben Mills. Friday November 17 to January 07 at the Gardiner Museum. Nicholas Croft presented the idea behind ICEBOX for TO Ice Breakers public art installation on Queens Quay West, on Toronto's Waterfront. We will be participating in the inaugural ICEBREAKERS festival. Come see our installation ICEBOX at HTO park in January 2017. Michaela MacLeod presents MY CHEMICAL GARDEN, at the Gladstone Hotel for Grow Op 2016. HOTBOX was selected to be included in the TWENTY + CHANGE: NEXT GENERATION Exhibition and Book, edited by Heather Dubbledam and Lola Sheppard. Read more about the exhibit at AZURE (http://www.azuremagazine.com/article/twenty-and-change-next-generation-exhibition/). Twenty + Change runs until February 6 at the Urbanspace Gallery, 401 Richmond St., Toronto.